Ultra Music Festival has released the first lineup phase for its Mexico debut. Taking place October 6-7 in Mexico City’s expansive Foro Pegaso, the inaugural edition of the festival boasts three stages and an expected attendance of over 80,000. 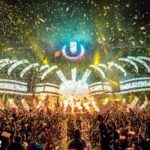 Ultra Mexico’s main stage will play host to a prominently Dutch bill, with Afrojack, Armin van Buuren, Dash Berlin, and Martin Garrix performing alongside Swedish superstar, Alesso. Meanwhile, the impressive roster of Dubfire, The Martinez Brothers, Richie Hawtin, and Seth Troxler, will headline the event brand’s ever-growing RESISTANCE concept.